Deborah Spooner: too much. too small. to Jesus. too much. too small. to Jesus. it's all too much. it's all too much at once. maybe it's not that the world is too big. maybe it's just that i am too small. where everyone thinks something but sometimes no one knows anything. 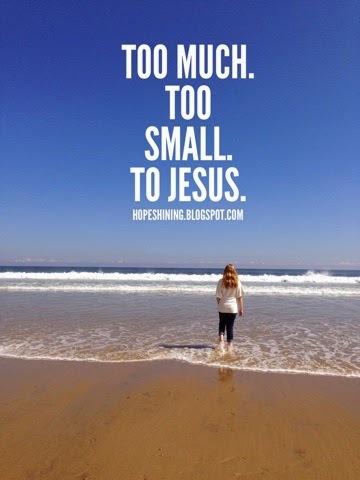 but that i am so small.